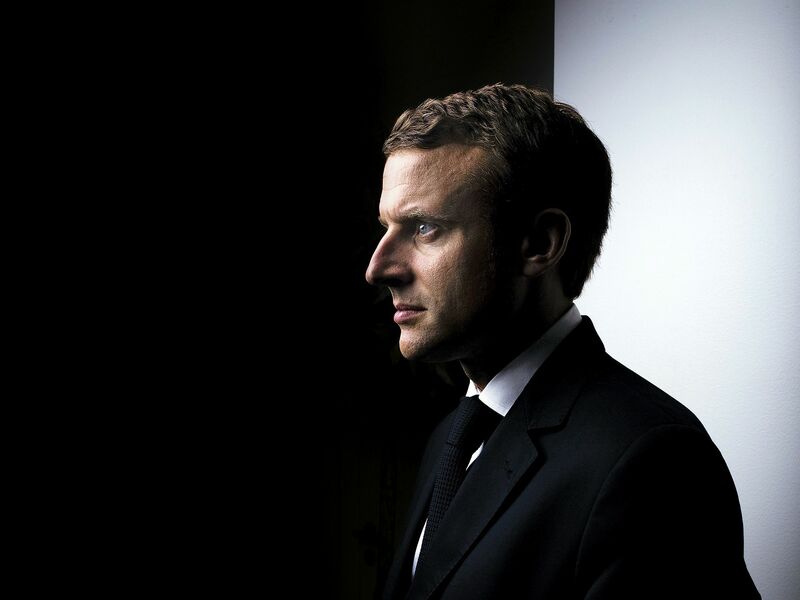 To win the presidency in 2017, Emmanuel Macron had to reinvent himself. The insider turned outsider disrupted French politics, creating his own center-left party and promising to rescue the continent from a wave of euroskeptic populism. 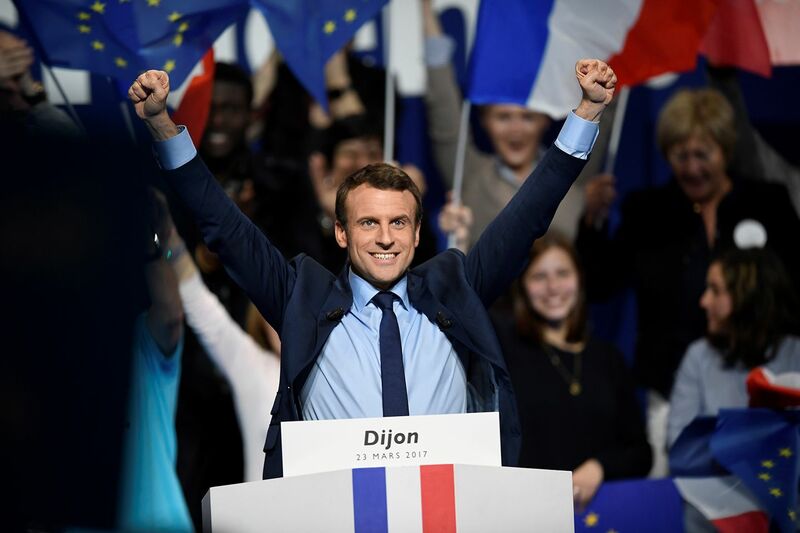 He beat the National Front’s Marine Le Pen—exactly the sort of nationalist who was threatening the liberal values that helped shape the European Union. But a little over a year later, Macron is facing a greater challenge. 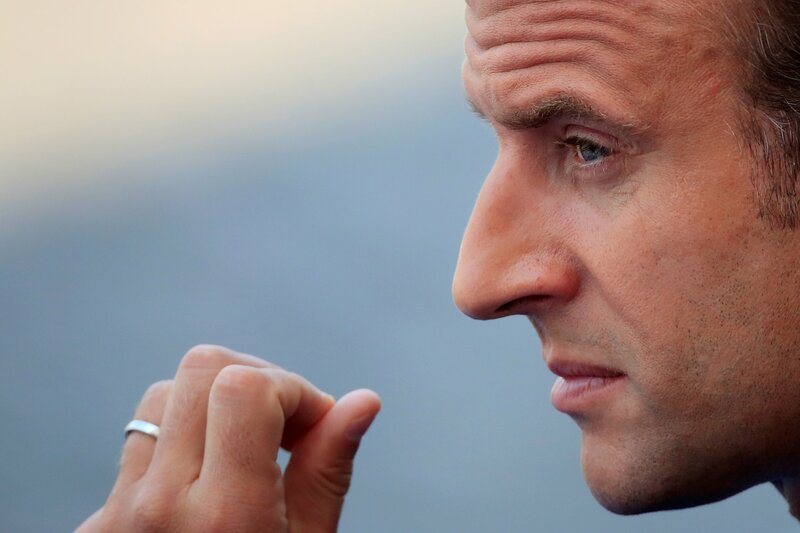 With Germany’s Angela Merkel weakened, Italy’s radical new government threatening to launch a parallel national currency and the United Kingdom drifting toward a no-deal Brexit, the 40-year-old French president finds himself outnumbered by the EU’s increasingly right-wing leaders. “It is up to us today to take our responsibilities and guarantee our own security, and thus have European sovereignty,” Macron said on August 27, adding that in the age of Donald Trump, Europe can no longer rely on the United States for security. But fear of immigration, economic weakness and Islamist terrorism are turning millions of Europeans away from grand ideals and narratives. As a result, from Hungary to Austria, the Czech Republic, Poland and, most dramatically, Italy, anti-establishment and euroskeptic candidates have won power (or, in the case of Hungary’s nationalist prime minister, Viktor Orbán, grown stronger). 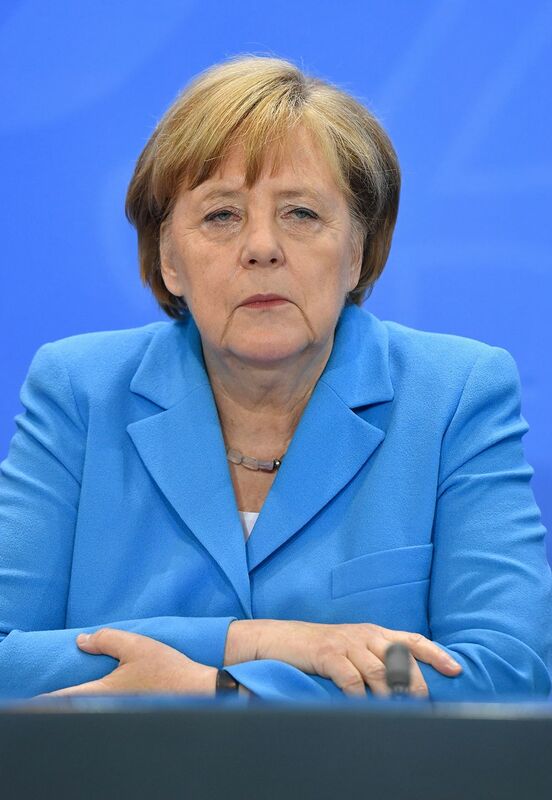 At the same time, Merkel’s decision to allow a million migrants into Germany decimated her support and forced her into a coalition with partners less amenable to her message. Merkel had previously been the stalwart champion of EU ideals: open borders, financial aid for weaker members and collective decision-making. With his German ally hamstrung, Macron must take the lead on the defense of the union’s principles. If Macron fails, Europe faces increased tribalism, a collapse of the free movement of people and goods on which the trade block is built—and the possible creation of an opening for Russia to woo splintered countries away from the West and closer to Moscow. Every fundamental problem faced by Europe can be found in microcosm in France. Its aging population demands the economically impossible: on the one hand, job security, a 36-hour workweek and retirement at 55; on the other, dynamic economic growth and a cut in unemployment. 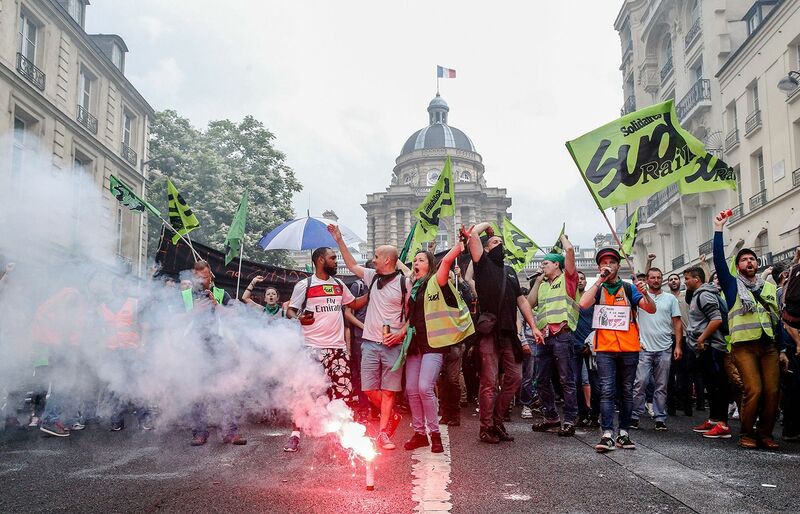 France’s two-century-old tradition of street protests and crippling strikes has scuppered all previous presidents’ attempts to reform labor laws, universities and a bloated state sector. As a result, the French unemployment rate is still at more than 10 percent, and the youth jobless rate is above 20 percent—comparable to that in Italy and Spain. In 2002, French and German workers enjoyed roughly the same incomes; now, Germans are 17 percent richer, and the country’s jobless rate is less than half of France’s. The last time a French government balanced its budget? 1974. Immigration—the proximate cause of Brexit and of the rise of the far right across Europe—has become an existential threat to France’s security and its very sense of self. 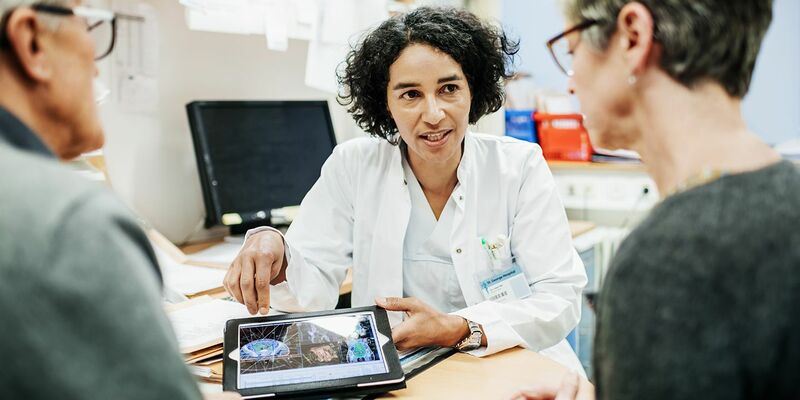 A recent study by France’s National Institute of Statistics and Economic Studies showed that second-generation immigrants often fared less well than the first generation, and that members of France’s nonwhite population were “highly disadvantaged” in the labor market, according to Cris Beauchemin, the study’s author. The banlieues—high-rise suburbs around French cities— have become ethnic minority ghettos prone to sporadic rioting. 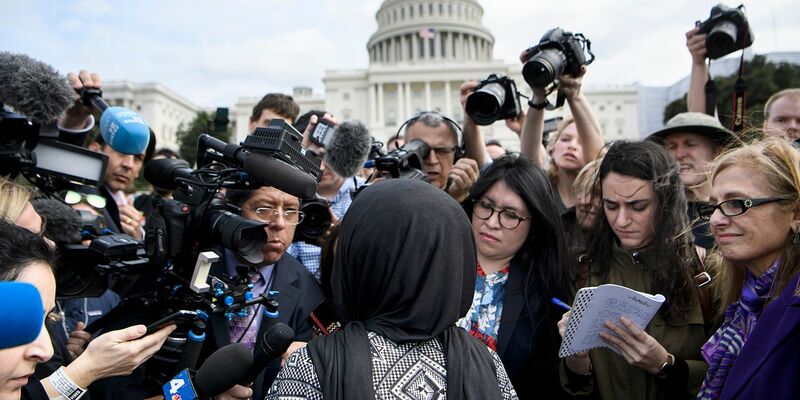 In an attempt to curb the rise of Muslim radicalism, France in 2010 became the first European country to ban citizens from covering their faces in public, a law that directly targeted the Islamic veil. Despite efforts to integrate the 12 percent of France’s population that is Muslim, a series of attacks across the country by homegrown jihadis has mobilized the far right. Both conservative President Nicolas Sarkozy and his leftist successor François Hollande attempted to reform France’s sclerotic economy and heal its social divisions. Both failed. 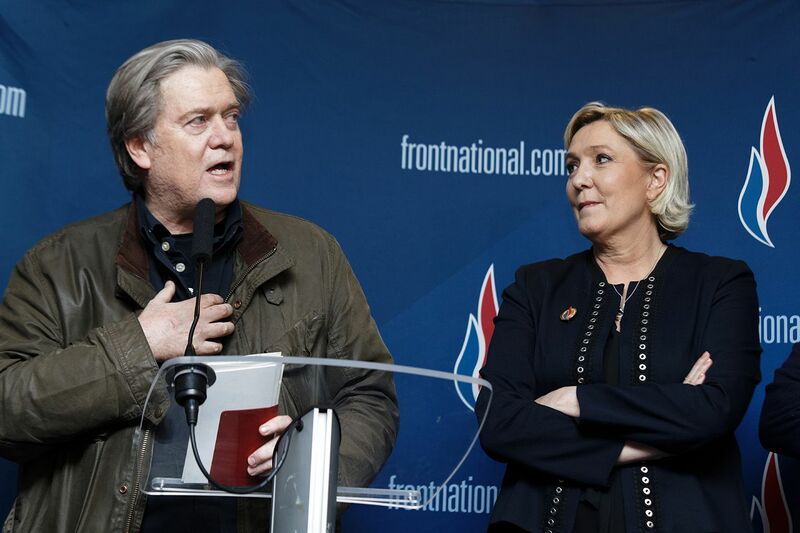 In the process, they discredited the old-style machine politics and opened the way for Le Pen’s nationalist appeals to white, working-class voters—the same demographic that backed Britain’s Brexit movement (and Trump). Then came Macron with a political insurgency of his own. In a single year, he created a new centrist political party, the Republic on the Move, which out-campaigned and raised more money than the stagnant major parties. He used techniques hitherto unknown in France, including canvassing voters door to door and using digital databases to identify potential supporters. But Macron’s most remarkable trick was to reinvent himself as a radical disruptor and political outsider. 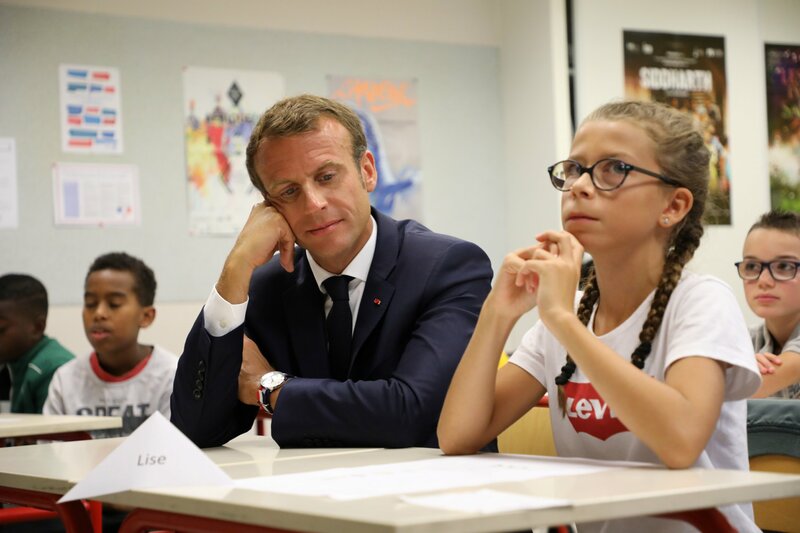 Macron studied philosophy at Paris’s École Normale Supérieure, the school that traditionally produces France’s administrative elite. Then, he worked as an investment banker for Rothschild & Cie Banque before briefly becoming a minister under Hollande. He quotes Hegel, Molière and the philosopher Paul Ricœur (under whom Macron studied) in his speeches and plays Chopin to relax. His glamorous wife, Brigitte, his former high school drama teacher, is 24 years his senior. Despite that establishment background, Macron succeeded in casting himself as a pure pragmatist, free of the party dogmas of the past. He presented himself as a post-ideological, modern leader for a world reshaped by technology and free movement. 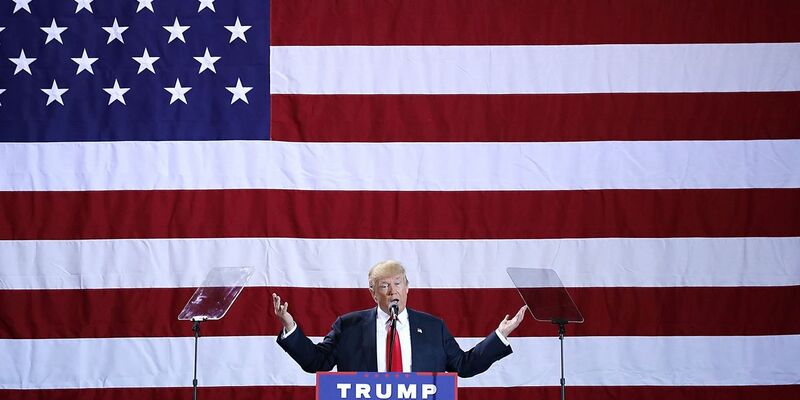 Like Trump, though, he also understood that the main tension in modern society was no longer between left and right but between the inhabitants of booming, liberal cities and residents of the smaller towns and countryside who saw themselves as left behind. He was able to speak to the misère blanche—the cultural and economic alienation of France’s poor, working-class whites. “France is a revolutionary country and only advances by breaking with the past,” says Sylvain Fort, a speechwriter for Macron. The secret of the dynamic new president’s appeal was “to rethink the framework and undertake an ideological renovation…[to] build a form of neo-progressivism, structured around the idea of individual progress for all.” At the same time, Macron could rely on his credentials as a member of the very system he hoped to disrupt. 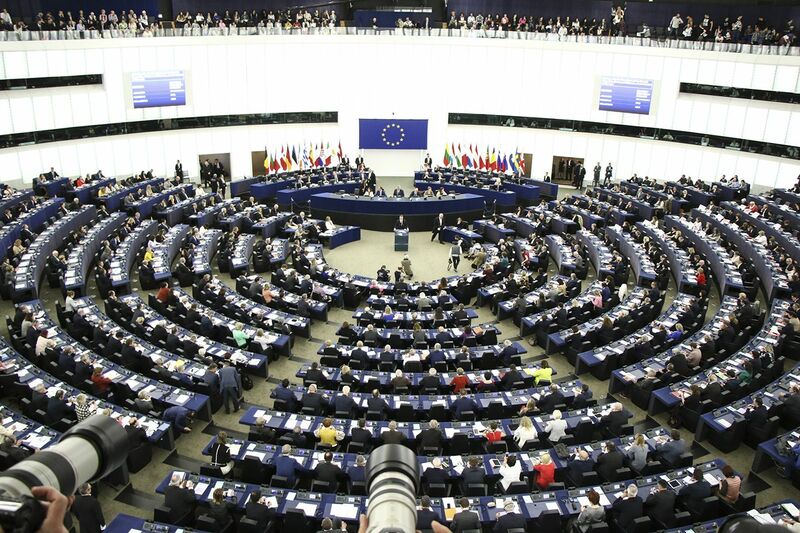 Populists across Europe argued that the EU is heading for disaster, ruined by mass immigration, an out-of-touch elite and economies strangled by over-regulation by Brussels, the seat of the EU Parliament. Macron countered by proposing a platform he claimed was neither left nor right: cutting corporate and payroll taxes, reducing class sizes in schools, increasing military spending and culling 120,000 jobs from the bloated public sector. On the EU, he offered a resolutely upbeat and pro-European message, vowing to persuade Germany to adopt pro-growth policies for Europe as a whole. And despite his youth, Macron projects what Nivat calls “the stature of power”—that elusive charisma of grandeur, embodied by former President General Charles de Gaulle, to which every French leader has since aspired. Certainly, he is as strategic as any general in shaping his image. When giving one of his rare media interviews—just two since he has been in office—his talking points are crafted, weeks in advance, by a team of speechwriters, according to one senior French journalist who spoke on background. Macron personally chooses both left- and right-wing news outlets, and deliberately selects notoriously tough interviewers such as the BBC’s Andrew Marr, to whom he spoke in precise and idiomatic English. The setting for that interview was a stately 18th-century drawing room at the Royal Military Academy at Sandhurst—chosen to impress. The calculation and preparation pay off: When Macron speaks, he projects the Olympian confidence French citizens require of a president, the mythical man of destiny, or l’homme providentiel. Macron’s vision of a reinvigorated Europe is twofold: to make the EU more responsive and accountable to its people, and to halt the waves of financial crises in the eurozone that have impoverished Greece, Italy and Spain, turning millions of voters across southern Europe against the very concept of the single currency. Yet since Macron was elected, two key allies have fallen away or been severely weakened. 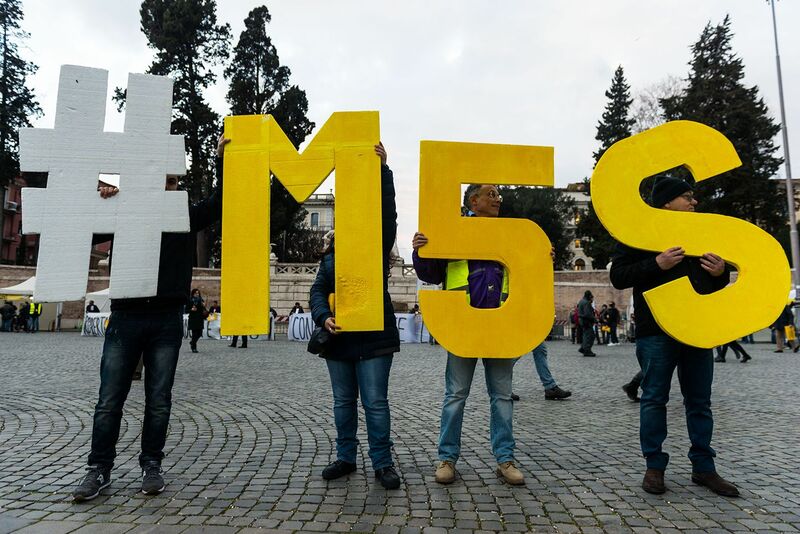 Italy’s takeover by a coalition of the intensely euroskeptic Five Star Movement and far-right Lega parties has robbed Macron of a powerful potential partner. And after a poor election showing in 2017, Merkel has found herself dependent on a coalition with the Christian Social Union of Bavaria and the Social Democrats—both sensitive to euroskeptic and anti-immigrant challenges from Germany’s own populist opposition. Macron has pushed on with his crusade to reinvent Europe. He has tried to rally EU leaders behind a scheme to regulate banks and national deficits to prevent a repeat of the 2010 Greek debt crisis, when a combination of reckless state borrowing and corrupt lending by commercial banks crashed the Greek economy and nearly took down the whole euro with it. But in an age of growing nationalism, Macron’s calls for more central regulation of the common currency—and an inevitable loss of economic sovereignty for all eurozone countries—are a tough sell. His goal, he told the BBC in May, was “more sovereignty, more unity, more democracy”—blithely glossing over the fact that the competition between sovereignty and unity is Europe’s most urgent existential problem rather than its solution. Macron’s EU partners effectively chose to continue with ad hoc responses like the cobbled-together Greek bailout of 2010 rather than risk losing any more sovereignty—even if the cost was a continued systemic weakness in the euro. France’s president failed in another ambitious project: to talk Trump out of scrapping an Obama-era deal with Iran that ended economic sanctions in exchange for Tehran’s suspending its nuclear weapons program. Macron and his wife cut a brilliant pair during a state visit to Washington, and although Macron and Trump had engaged in a theatrically competitive handshake at their first meeting a year earlier, the personal warmth between the two was palpable. Equally friendly: a return visit by Trump to Paris (where he admired a Bastille Day military parade through central Paris so much that he suggested a similar display in Washington). Despite the positive atmospherics, Trump refused to budge on Iran or on his decision to withdraw the U.S. from the Paris climate accord. Macron was “disappointed but not surprised” that Trump “completely ignored his advice,” says the wife of a former ministerial colleague of Macron’s, who spoke on condition of anonymity. But ultimately, the French president “emerged looking statesmanlike, a dignified voice of sanity and reason, and the French people appreciated that,” she says. At home, Macron has had more success. This spring, he faced down the sort of mass protests that crippled the governments of his predecessors: Despite rolling strikes to defend early retirement packages, he defied France’s powerful railwaymen’s union. 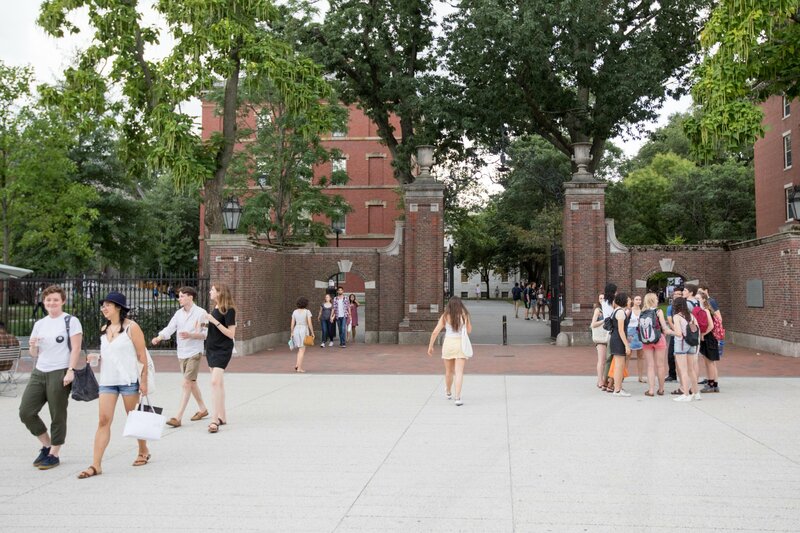 He brushed off student demonstrations over selective entry to universities. He also brought in labor reforms designed to make hiring and firing more flexible—though France’s generous welfare state, with its free education and health care, has remained largely untouched. Macron has pushed through reforms that eluded his predecessors in part by mixing them with moves squarely aimed at appeasing the kind of conservatives who voted for Le Pen. Although he praised Merkel’s plan to admit a million refugees during the height of the migration crisis in 2016 (the decision “saved the dignity of Europe,” he said), he has agreed to toughen rules on asylum seekers after the number of applicants jumped 17 percent, to 100,000, in 2017. 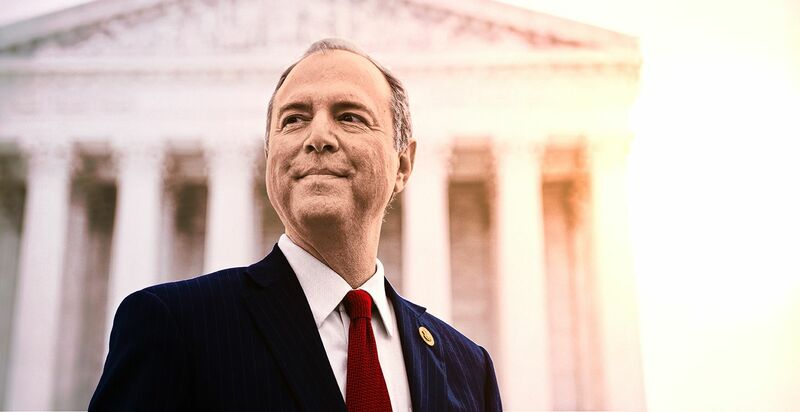 And he’s deftly borrowed right-wing policies such as reintroducing national civic and military service for 18-year-olds and championing the French language abroad. “French is the language of reason,” Macron declared during the opening of a branch of Paris’s Louvre museum in Abu Dhabi. “It’s the language of light.” Such unabashed chauvinism (a term with French origins, after all) plays well with France’s angry nationalists. Macron has had some luck. His rise coincided with the collapse of the traditional French left. And his battles with organized labor were made easier by being fought against their particularly hardline and uncompromising leadership, which lost public support by clinging to extraordinary privileges unheard of in the private sector (such as fully funded retirement for train drivers at age 50). But it’s also not clear how deep Macron’s public support is: Just 42 percent of the electorate bothered to vote in the 2017 elections, meaning nearly 75 percent did not actually endorse him. 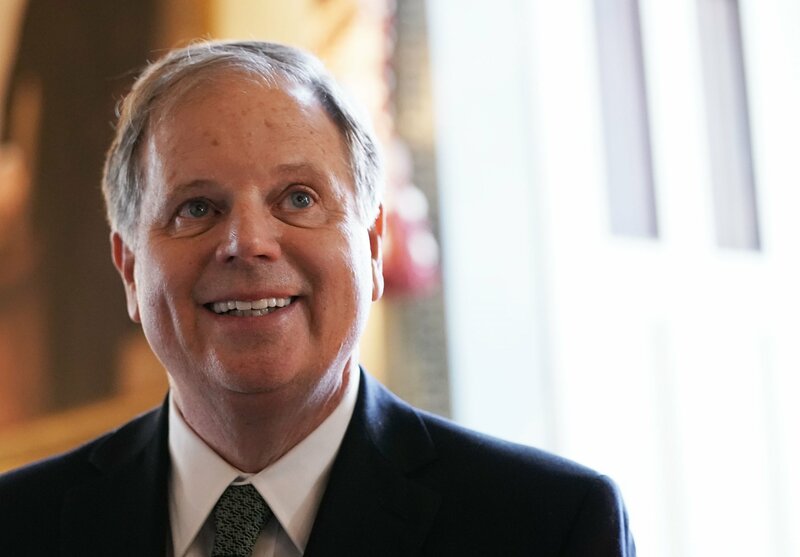 His next moves to cut state spending and increase taxes on pensioners could test his base—and put an end to his luck. Already, the shadows are gathering. In Italy, Lega leader Matteo Salvini’s hostility to Brussels is unremitting. He has refused to allow immigrant-bearing ships to dock in Italy, and recently (spuriously) blamed a fatal bridge collapse in Genoa on EU austerity rules—gaining ever greater popularity for his party. 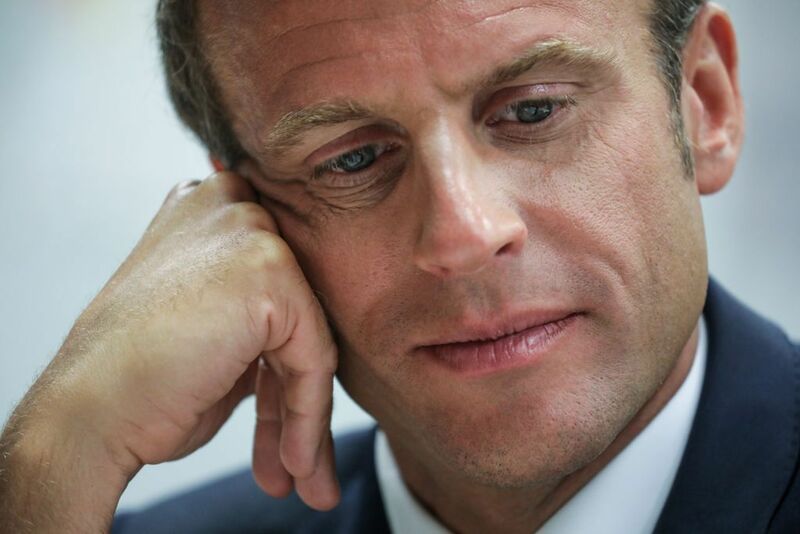 The failure of Macron’s grand plans to reform the eurozone’s finances doesn’t bode well for future efforts, especially since the EU is about to plunge into months of crisis talks over the as-yet-unresolved terms of Britain’s scheduled departure from the union next March. Ever the strategist, Macron has proposed to make an opportunity out of the Brexit crisis by repositioning Paris as the new center of Europe’s banking system. He’s vowed to attract more multinational companies to France with tax breaks and reformed labor laws; in the first year of his presidency, foreign investment in France rose by 16 percent. 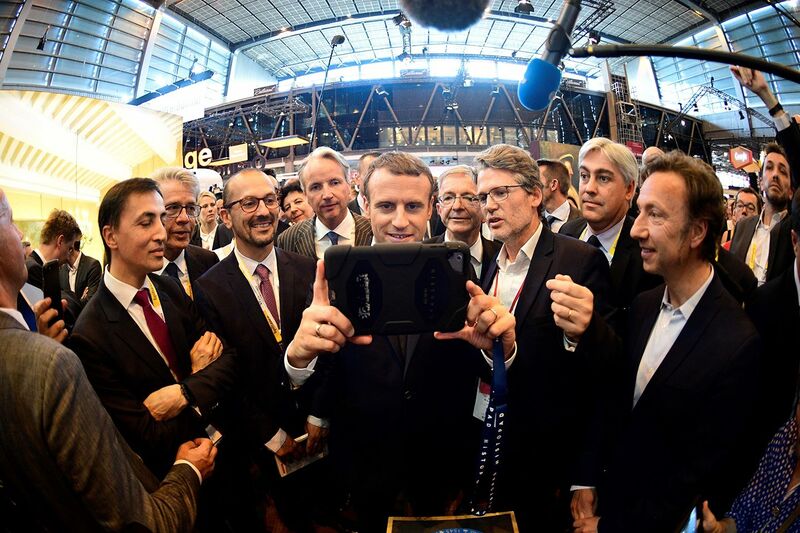 During his campaign, Macron spoke of France as a “startup nation,” and he has allocated 1.5 billion euros ($1.74 billion) to stimulate tech companies to develop artificial intelligence to rival both Silicon Valley and China. In short, he’s positioned himself well to represent the future of France. Now, he needs to win a future for the EU. In French politics, “searches for l’homme providentiel usually end in disappointment when the man on the white horse turns out to be all too human,” writes Jonathan Fenby in his recent book, The General: Charles de Gaulle and the France He Saved. At this pivotal moment, Emmanuel Macron may be the last leader left who can ride the horse.